Ingredients: Lightly sparkling Moscato: vibrant pink colour and lifted aromas of sweet roses, musk and Turkish delight on the nose with explosions of sweet musk and raspberries. Aja proudly sponsored the opening of the new flagship Hussy store on Oxford Street and complemented the delicious sushi canapés courtesy of neighbouring Toko beautifully. 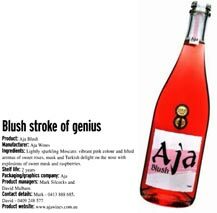 Aja Blush sparkling wine, $20 This light, sparkling Moscato blush wine is deliciously refreshing with a hint of sweetness. Its fruitiness and crisp finish complements a wide variety of Asian foods. landed in my glass this week. 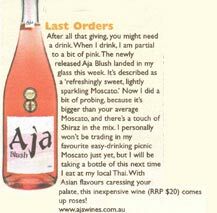 Aja wine (pronounced Asia) is a lower alcohol tipple created specifically to go with Asian food. 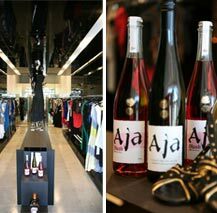 Aja was wine of choice at the recent opening of the very cool Venice Boutique in William Street, Paddington. We wish Venice every success with her beautiful jewellery. 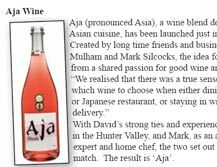 Aja, a wine blend designed to perfectly match Asian cuisine, has been launched on the Australian market just in time for summer. 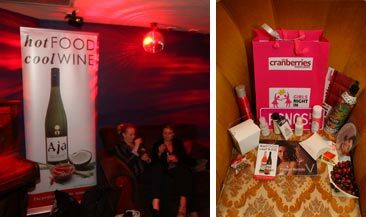 The Star has five bottles to give away. For the chance to win one, email your details to comps@starobserver.com.au and include UNNAKED in the subject line. Entries close 5pm Wednesday and the winners’ names will be published. Please note: You must collect the prize from our Oxford St office and show ID if asked. As part of the Sydney International Food Festival, renowned chef David Thompson launched a new fish sauce from Megachef. 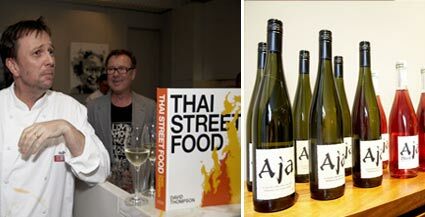 And what better to go with David’s delicious creations from his recent ‘Thai Street Food’ than a crisp, refreshing glass of Aja. 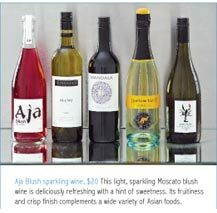 As the name suggests, Aja, $20, pronounced "Asia" was developed to match the delicate ingredients found in Asian Cuisine.